A memoir, Etgar’s first nonfiction book published in America. 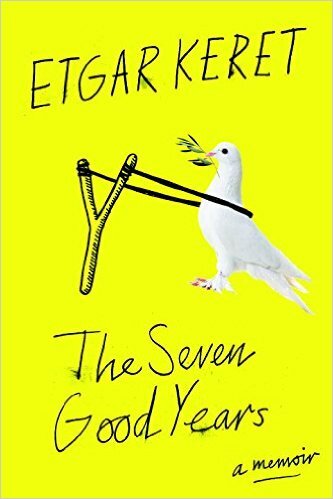 The seven years between the birth of Etgar Keret’s son and the death of his father were good years, though still full of reasons to worry. Lev is born in the midst of a terrorist attack. Etgar’s father gets cancer. The threat of constant war looms over their home and permeates daily life. Reviewing Etgar Keret’s new volume of mini-memoirs poses something of a pleasant conundrum: What can you add to the reading world when you’ve just turned the final page of a book in which a writer has managed to say so much, so movingly, so concisely, and so entertainingly? ... The delightful reality is that Keret brings the same surreal edge and black-as-pitch humor to these nonfictional musings as he does to his short stories. Even their shape — small, perfectly-formed — mirrors the feel of his fiction. 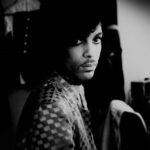 [a] collection of unusual coincidences, and tiny vignettes of a life lived on the constant, bittersweet edge of surrealism. This scattering of laughs. This pack of sighs. This charming and heartbreaking pile of stories that cover the years between the birth of Keret's son, Lev, and the death of his beloved father ... it takes us back through seven years of Keret's history, showing us the world (its beauty, madness, and inescapable strangeness) through his sharp and sympathetic observations. It's not an overtly political book, but one defined by violence, bookended by life and death. Taken together, these anecdotes paint a picture of combat-zone parenthood that goes beyond politics while reinforcing the imperative need for lasting peace. Fatherhood is not the only subject of interest. We have ruminations on everything from delayed flights to telemarketers. Some of it is profound, much of it less so ... Keret has a tendency toward reductive summation and his explorations often cutely resolve before they have a chance to get going. The nonfictional Keret is gentler than his fictional self; instead of an angry young man we get a defanged father ... at fewer than 200 pages, the book is too slim to comprise so much filler. Keret is best when he sticks to family, and particularly the subject of his father, a Holocaust survivor. Keret risks sentimentality recklessly and often. When it works, the payoff is powerful: a palpable urgency of emotion. What did you think of The Seven Good Years?